Lenny & Don were on separate trips, but did manage to meet up in Queenstown. All of which simply goes to show that you never know WHERE you might run into an Old Bro, as our reach is far and most definitely worldwide. Old Bro Network hopes that you all stay safe whenever you travel, and if you'd like to share any photos of yourself (or of other Old Bro's) taken in far away places, send them in and I'll gladly post them on the Old Bro Network for everyone to enjoy. My vote goes to Leaping Lenny. Though he is already further along in his journey, his form is still superior. arms still stiffly jutted out in impeccable three point position. 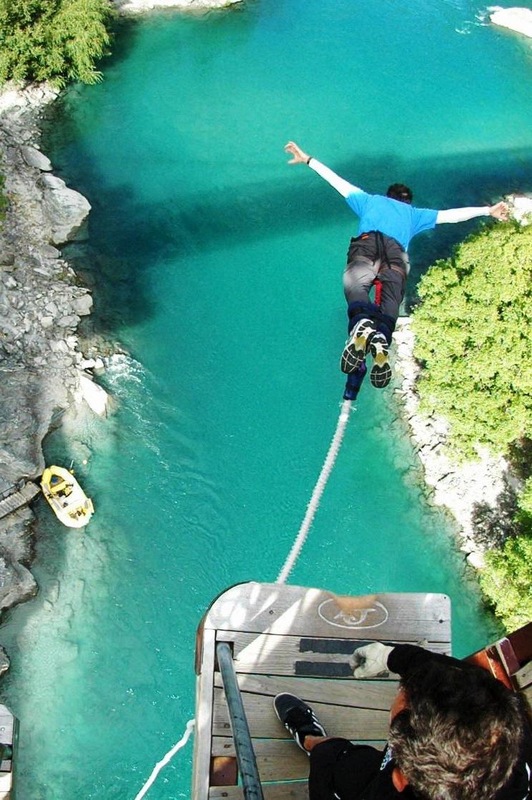 Though cheers to Don as well, not sure I'd have the courage for that jump. Guess all those years of gymnastics paid off. Of course I can't do a lay up so unlike Don was totally worthless in intramural basketball. 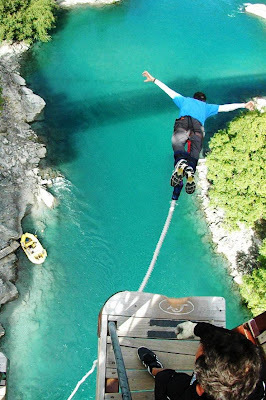 I watched people jump from that bridge when I lived in NZ - watching was enough fo me! 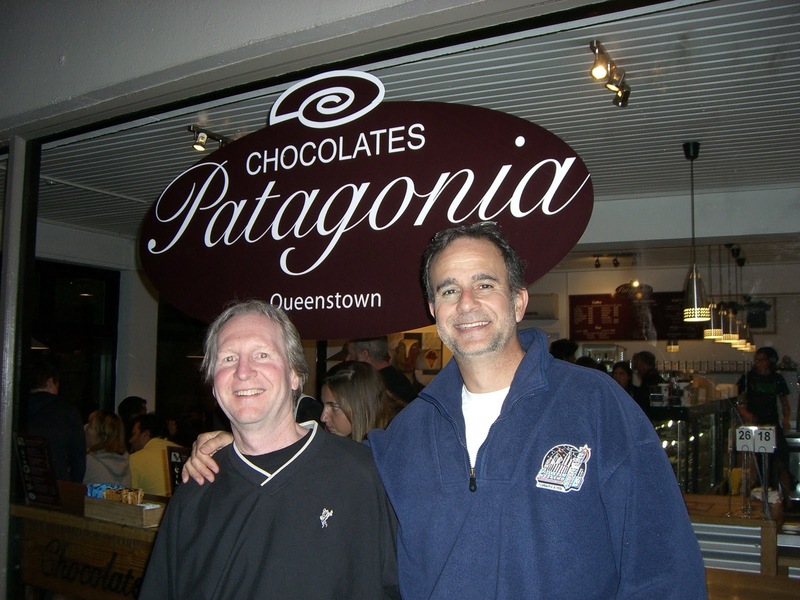 BTW, if any of you go to Queenstown have ice cream or chocolate in Patagonia which the guys are standing in front of - good place. I was there in October for Rugby World Cup. There is one of Flo's biscuits at the bottom and if you grab it with your teeth and keep it in your mouth your jump is free. Just ask for the Old Bro Biscuit Discount.